Gap cover is an additional funding safety net for existing medical scheme members. It pays for the difference between what medical specialists charge and what your medical aid is prepared to reimburse. It's an insurance policy that dovetails with your medical aid to create a more comprehensive blanket of cover. In South Africa, spiralling medical costs have created a situation where gap cover is virtually mandatory, especially if you and your family want to enjoy the best medical treatment and care at a private hospital. If you are looking for instant access to extra medical benefits, gap cover with no waiting period is the answer. Let's take a brief look at gap cover, and what waiting periods are generally imposed on policy holders. We'll also reveal a few innovative gap cover providers that are bucking the 'waiting game' trend. As with all short-term insurance products, there are several providers of gap cover in South Africa. All offer a range of products tailored for families or individuals. Benefits vary from option to option, and are proportionate to the monthly premium. In addition to in-hospital benefits - with maximum rates of up to 5 times the base medical aid tariff - and limited out-patient gap cover, there is usually a raft of extra benefits woven into the policy. Co-payment, premium waiver, casualty and oncology cover are standard inclusions on nearly all gap cover policies. Accidental death and disability benefits are also typically available across the board. In the more expensive products, there are value-added little extras that cushion the blow of receiving medical treatment overseas, or at specialists and hospitals that fall outside the negotiated funding network. As with medical aid schemes, most gap cover providers impose waiting periods, during which time you are not entitled to submit a claim. Waiting periods kick in from the first day of cover, and extend for a specified number of months. What waiting periods are imposed on gap cover policies? 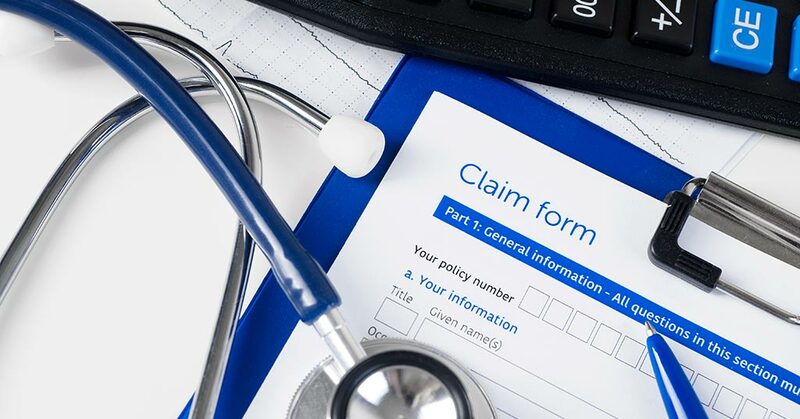 General waiting period: for the first 3 months of cover, you are not allowed to submit any claims, with the exception of those relating to an injury resulting from an accident. Pre-existing conditions waiting period: depending on your gap cover provider, you may not submit a claim for pre-existing conditions for the first 6 to 12 months of cover. The waiting period applies to any illness or condition that's been treated 12 months prior to the start of the policy. Pregnancy and childbirth fall into this category. Specified procedures waiting period: most gap cover providers do not cover a list of procedures for the first 10 to 12 months, unless it is required to treat an accidental injury. Procedures include joint replacements, spinal procedures, scopes and scans, cardiovascular procedures, cataract removal and hernia repairs. Cancer waiting period: pre-diagnosed cancers have to be in remission for 12 months to 5 years, prior to the inception of the policy, before benefits are claimable. Among providers that offer gap cover to the general public, Zestlife stands out. Invest in a Zestlife gap cover product and you'll benefit from immediate cover, with no three-month general waiting period. So you'll be able to submit claims relating to the treatment of conditions and illnesses diagnosed on, or after, the policy inception date. Note, however, that with Zestlife, claims relating to cancer and pre-existing conditions, including pregnancy, are precluded from cover for the first 12 months. Employees of closed gap cover providers, such as African Unity Health, are not subject to general waiting periods, provided they have joined the group, or company, medical scheme at the same time. At IFC, we offer informed, objective advice about South African gap cover providers and medical aid schemes, and can assist you in choosing the options that best suit your needs and budget. Contact us for more information or to discuss your needs.